Jesus' body is offered as our substitute, and will be applied to us, if we would but realize this amazing grace and place our faith in him. Please read Hebrews 10:1-25 before starting GraspingGod.com's free Bible study lessons, #3.14. 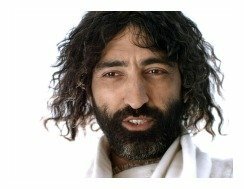 Previous lesson: Seven Last Words Of Christ #3.13. 1) Why must God punish sin? 2) Why did Jesus undergo severe punishment from the Romans? 3) What is the purpose of Communion? We've had some amazing lessons together, with yesterday's being informative and inspirational. The story of Jesus' sacrifice seems too cruel and inhumane to believe, for many people. It's too messy for them. But, Jesus wouldn't have needed a human body if we didn't need a sacrifice. He would have maintained his heavenly body and remained perfectly content. This bloody sacrifice of Jesus' body, even though messy and cruel, is essential for Christianity and for us as individuals. Let's discuss some of the reasons why Jesus' body and Jesus' blood had to be offered to God on our behalf. God punishes sin bodily, emotionally, and spiritually. God disciplines us bodily through various means, including parents (Ephesians 6:1-4), authorities (Ephesians 6:5-9), government laws (Romans 13:1-5), diseases (1 Corinthians 11:29-30), etc. Good parents learn discipline techniques and enact them with their children in order to train them in righteousness. Governments are built on laws, with lawbreakers being properly punished. Sometimes, injuries and diseases occur because of sin. Other times, we fall into spiritual or emotional depression because of our sin grieving and/or stifling the Holy Spirit (Ephesians 4:30; 1 Thessalonians 5:19-22). All sin receives punishment, sooner or later. Jesus carried all our sins to the cross (1 Peter 2:22-24), therefore, he was punished by God's ordained worldly methods. The worst crime a person can commit ends in murder for the victim(s), and Jesus was sufficiently punished for even that heinous crime. Many murderers have come to know Christ as Lord. There is no crime for which his sacrifice can't pay the full price. Jesus received a terrible scourging and death sentence - the worst punishment possible by human means. Those were our sins for which he was paying the cost. What is your worst sin? It doesn't matter, because Jesus paid the entire cost to God (Isaiah 53:5-6). The best way to start is to revisit a couple of crucial Bible teachings. God is holy, therefore, rebellion by his creatures (aka sin) angers him. Nothing can change this fact - we have to accept it. God created humans to live forever in perfect harmony with him. But Adam and Eve sinned, and punishment and death came upon all creation in the form of a curse (Romans 8:20-22). Humans now experience physical, spiritual and eternal death. God didn't desire this situation, but his creatures pridefully desire to be God (Genesis 3:5-7). Holiness and sin collide, forcing God to enforce drastic measures. Sin requires punishment, and God requires a sacrifice of life to appease his holiness. Blood must be spilled to forgive the sin. Why? Simple. When a person sins and realizes that his sin causes death he is motivated to stop sinning. From the human perspective, the loss of life should be a deterrent for us to live a life pleasing to God. One need only revisit the account of the Great Flood to see how seriously God punishes sin (Genesis 6:13). In the Old Testament days a sacrifice was needed for sin. Terrible sins required a person to die for his own sin (Leviticus 20:9-11). Lesser sins required an animal sacrifice to appease God (2 Chronicles 29:24). There was a serious problem with these two sacrifices, though, because they both fall short in gaining permanent forgiveness by God. The first sacrifice, a human sacrifice, was tainted by a sinful human being (Romans 1:18). The second sacrifice, an animal sacrifice, wasn't human and therefore wasn't a sufficient, permanent sacrifice (Hebrews 10:4). The Trinity knew a plan was needed for their rebellious humans to be made holy once again. A sinful creature cannot enter heaven, therefore, a plan was needed. Since both sinful humans and non-human animals were insufficient sacrifices for a permanent pardon, extreme measures had to be taken. The Trinity's solution was brilliant! First of all, a temporary sacrificial system could be put in place until the plan could reach it's climax. At the perfect time, God's Son could become a human being. He could live a perfect life, and then become a human sacrifice for those people who desired forgiveness and God's love. Jesus' body would be the one sacrifice needed to forever forgive human sins (Galatians 3:13). This is a perfectly brilliant, eternal plan! (1 Peter 1:20). The highest concern for a person should be asked in this form, "How does God view me?" Let's visit the progression of God's view of humans in general. First, sometime before creation, God the Trinity decided to go forward with the plan of creation, which included angels, humans, animals and plants, plus all inorganic materials. Creation finally happened and everything was "good" (Genesis 1:31). God loved what he created, including people. The first humans sinned, however, and that thrust all of humankind into a sinful state, meaning all humans are born separated from God. We each followed the way of the world and fell subject to God's anger (Ephesians 2:1-3). God has always loved us, but because of our natural sin and particular sins, he was displeased (Romans 8:8); even angry with us (Colossians 1:21). A person sins "by nature," with as little as one particular sin corrupting the entire person (James 2:10). Punishment was in order and instituted, with the worst and final punishment being condemnation to eternal life in outer darkness and the lake of fire (Revelation 20:11-15). God loves us, but his holiness and righteousness force him to punish sin (Isaiah 6:3; 2 Thessalonians 1:7-9). God's love led him to the plan of Jesus' body being sacrificed for us, in order to pay the cost of our sins (Romans 8:3-4). Jesus can be our personal substitute, if we desire. 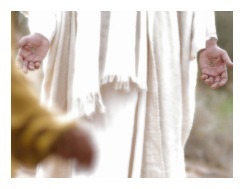 Amazingly, for those people who become truly saved by Jesus' body, God views them as perfect. Yes, as perfect (Hebrews 10:10; 10:14). The reason is that God applied our sins to Jesus' body (1 Peter 2:24); and Jesus' life is applied to our life (1 Corinthians 1:30; 2 Corinthians 5:21). The transaction is called imputation. In the end, as Jesus is, so shall we become (1 John 3:2). Our sins still have consequences, and we'll continue to be disciplined for them (Hebrews 12:5-6); however, true Christians are slowly but surely being perfected (Philippians 1:6) and in the end, we will be holy (Jude 24). Hebrews 10:25 tells us, "And let us not neglect our meeting together, as some people do, but encourage one another, especially now that the day of his return is drawing near." Strength is in numbers, and at no time is that more true than when discussing the Body of Christ (aka Church). He strongly desires that believers come together to gain strength. God equips each believer with special spiritual gifts in order to grow strong local churches (Romans 12:6). Believers are to teach one another, serve one another, and work for Christ with one another (Romans 12:7-8). Jesus' Body, i.e. the Church, should become a loving, close-knit family within a local community (Romans 12:9-16). 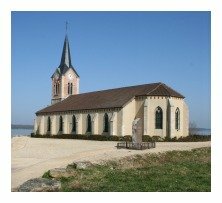 Because of space limitations here, I'll have to close this by saying that if you become saved by Jesus Christ, you have an obligation to search for a local church that abides by the Scriptures. Holy Communion was instituted at Jesus' Last Supper. Communion is the celebration and remembrance of Jesus' body and Jesus' blood that was given for us. First of all, it was a direct command from Jesus Christ. 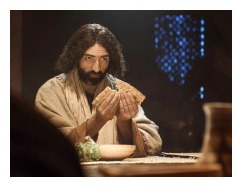 He told believers to give thanks and break the bread because, "This is my body, which is given for you. Do this to remember me." Then the cup of wine was poured, he gave thanks, and said, "This cup is the new covenant between God and his people - an agreement confirmed with my blood. Do this to remember me as often as you drink it." (1 Cor 11:23-25). Paul added that through the Lord's Table we believers are announcing the Lord's death until he returns (1 Cor 11:26). 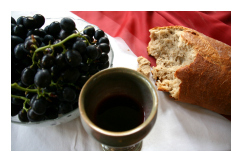 The Bible gives us clear instructions in how we go about communion. First of all, we meet in unity and fellowship (1 Corinthians 11:17-19). There should be no divisive spirit amongst the believers. Next, we should examine ourselves individually (1 Cor 11:27-30; Romans 12:3). Are our hearts clean of worshiping idols, even idols of the heart? (1 Cor 10:21). Are we interested in the Lord's Table? We should be thoughtful and introspective (1 Cor 11:20). Are we being selfish in what we eat and drink? We are to be orderly and polite (1 Cor 11:21-22; 33-34). Are our lives spotless and blameless in honoring Jesus Christ (1 Cor 11:29)? Finally, we give thanks for the bread (i.e. symbolizing Jesus' body) and wine (i.e. symbolizing Jesus' blood) (1 Cor 11:24). A believer's most cherished possession in life is Jesus' body and blood. Nothing else can come close to the value found in these gifts from heaven. If your soul isn't stirred into sorrow by the accounts of Jesus' crucifixion there may still be a dark void in your heart. The Holy Spirit may have yet to come to abide in your life (John 14:23). If that is the case, you should confess your sinfulness to God, placing your complete trust in him and Jesus' death on the cross. Because of his love, Jesus' body was given for you. Because of his love, Jesus' blood was spilled for you. Jesus gave himself so that you could be forgiven. He doesn't want you condemned forever. He wants you with him, experiencing his love. How have you responded to this great love of God? 1) Why can't man's own death be a sufficient sacrifice for his own sins? 2) You'll meet people who won't walk into a church for various reasons. How would you minister to them? 3) What do you do at communion if you are involved in a serious sin against other people and against God? Here's what was happening on the cross: God was punishing his own Son as if he had committed every wicked deed done by every sinner who would ever believe. And he did it so that he could forgive and treat those redeemed ones as if they had lived Christ's perfect life of righteousness. John MacArthur Jr.
Dear Father, Jesus' body and blood are so valuable to us. Jesus' sacrifice shows us that our sin leads to death - Jesus' death. We are so fortunate that your love is so great, that Jesus came to save us. We praise you, O Lord, we praise your holy and righteous name. Give us your Spirit, enlightening the Bible, so we can please you. In Jesus' precious name. Amen. After sharing this Bible study lesson on Facebook or Twitter below download your free printable Bible study lessons, Jesus' Body, Lesson 3.14. Please Donate To GG.com! Return to Jesus On The Cross page. Return to GraspingGod.com Homepage. 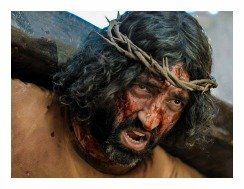 Special Note: I'm grateful to Big Book Media & Free Bible Images, Stock Exchange, Morgue Files, and Stock Photos For Free for the use of their photos for Jesus' Body Bible study lesson.